Posted by the FDA on April 25, 2018. The Issue: FDA is providing preliminary information concerning magnetic resonance (MR) thermometry reliability with magnetic resonance-guided laser interstitial thermal therapy (MRgLITT) devices. The FDA is currently evaluating data which suggests that potentially inaccurate MR thermometry information can be displayed during treatment. For example, MR parameters such as voxel size (measurement of the image resolution or detail) and MR image acquisition time (e.g., up to 8 seconds) may contribute to inaccurate MR thermometry readings and potential errors in the ablation assessment. In addition, MRgLITT devices may not account for the continued thermal spread of energy to the surrounding tissue (as the target ablation area returns to its baseline temperature), which may result in an underestimation of thermal damage. The FDA has reviewed Medical Device Reports (MDRs) and literature reports which describe adverse events such as neurological deficits (e.g., focal motor deficits, aphasia, cognitive changes), increased intracerebral edema or pressure, intracranial bleeding, and/or visual changes (e.g., visual field deficits, blurry vision) when these devices were used to treat intra-cranial lesions. Several of these reports note events which required urgent medical and/or surgical intervention, and may have been associated with patient deaths. However, it is unclear at this time, whether an inaccuracy of MR thermometry directly caused or contributed to these events. MRgLITT devices are commonly used in neurosurgical procedures for minimally invasive ablation of brain tumors, epileptic foci, or radiation necrosis. During these procedures, the tip of a laser probe is stereotaxically placed within the tissue to be ablated, and controlled thermal energy is delivered to the target tissue. MR thermometry is used to monitor the changes in temperature at the treatment site using a Magnetic Resonance Imaging (MRI) scanner, and proprietary software information is displayed on a workstation to aid the physician in assessing and controlling thermal damage. Consider and discuss with your patients the benefits and risks of these devices, as well as the availability of any alternative treatment modalities on an individual patient basis. Should an MRgLITT device be the best available treatment option, the FDA has provided more specifics in a Letter to Heath Care Providers. Report problems to the FDA. Device manufacturers and user facilities must comply with the applicable Medical Device Reporting (MDR) regulations. Health care personnel employed by facilities that are subject to FDA’s user facility reporting requirements should follow the reporting procedures established by their facilities. 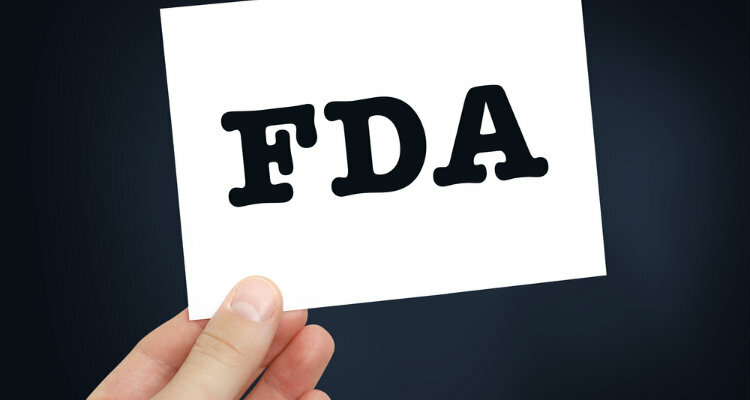 Prompt reporting of adverse events can help the FDA identify and better understand the risks associated with medical devices. Refer to the Letter to Health Care Providers for more specific information.